I Got the Rhythm | What is ML Reading? ML had the rhythm; and I can’t wait to get the rhythm at story time. I guarantee you I Got the Rhythm will be a story time hit. Tomorrow, the preschoolers at my library will sniff, sniff.. snap, snap… knock, knock and more. I anticipate smiles on the faces of the children in story time as big as the smiles on the beautifully illustrated children in this book. 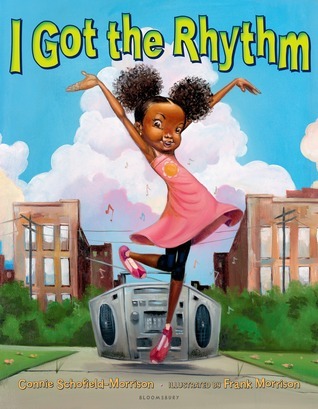 This entry was posted in Picture Book and tagged Connie Schofield-Morrison, Frank Morrison, I Got the Rhythm by mlreads. Bookmark the permalink.